Writer-producer Yvette Lee Bowser is the first and youngest African-American woman to create and run her own television series. She also has the distinction of executive producing and shepherding six series onto the schedule. 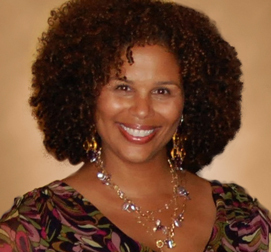 A graduate of Stanford University, Bowser began her career in television as an apprentice writer on A Different World, where she became a producer during her five-year tenure. At age 27, Bowser founded SisterLee Productions and created the hit show Living Single for Fox. It was the number one comedy in African-American and Latino households its entire five-year run. Most recently, Bowser produced the groundbreaking series black-ish. She currently serves as Showrunner on the Netflix series Dear White People (a socio-political satire based on the 2014 film of the same name). Deeply committed to charitable causes, Bowser has lent her support to many organizations. Yvette is on the Board of Trustees at her son’s school, where she plays and active role in their policy setting and fundraising efforts. Understanding the value of helping others, Bowser is dedicated to mentoring writers, women in particular. Over the years, her guidance has empowered numerous writers to find work in the highly competitive television industry.